We can't give you a quote from Classic Removal, but we have hundreds of drivers waiting to offer you a great price. Have a question for Classic Removal? No problem, send them a message and they'll email you back as soon as possible. If you have a more general question you might find it answered in the FAQ, or you always contact one of our brilliant customer service team. * Classic Removal won't be able to see your email address. please book and review my customer feedback. I'd recommend it to anyone. We had a great experience moving house. The driver was slightly early, but that was quite useful for us! Making the initial booking was difficult and took over two hours with numerous conversations with the chat service. My move wasn't simple, including three journeys and it wasn't particularly clear how to request this via the on-line booking service. However, once the booking was made, everything else went smoothly. The driver's English was limited but just about sufficient. They arrived an hour late, blaming traffic even though the roads were clear. We booked a driver and helper but the helper mostly stayed in the van so we still had to do most of the carrying. They left our job before it was fully finished to do another one, and came back two hours later than promised. They didn't seem to understand the importance of not dirtying freshly-painted walls. Also problems communicating. Would definitely NOT recommend. The customer was moving a lot, including a very large sofa. It was very difficult to get the sofa out of the property and again difficult to get it into the flat at the delivery address. I had to get it in via the back canal type entrance as it was the only way to get it in safely. This was a very hard booking. During this booking I was unfortunately called away, although of course agreed to return and the customer agreed to this. In return, I also completed an extra job for the customer's boyfriend for a much reduced fee, and I am surprised that they never mention this. One driver arrived 15mins early, but I paid for two drivers and only one arrived. He kept saying the next driver would arrive 10mins later.... who only arrived 1hr 45mins later. He had to carry all our heavy chest of drawers alone and bumped it down the stairs breaking one drawer. We all sat around waiting for the second driver to arrive, as the cupboard was too heavy alone. The second mover was a female and therefore with the heavy cupboard they asked my husband to carry - that's fine, but if I paid for two movers specifically sonwe could attend to other house move admin. I expect two movers to get on with it the full 2.5hrs! Very disappointed. My driver was 1 hour 45 minutes late and when we got to the storage unit he left one of my items outside without informing me. Headache Free. No hassles. Job done. While the move went quickly it was not without its stresses due mostly to our man & van. 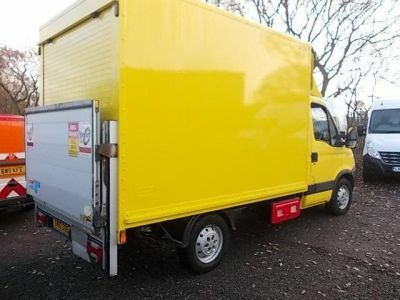 Before our man & van arrived the company changed twice, and although this is no fault of the man & van we eventually got, it meant that we probably overpaid for a lower rated service, something compare the man and van need to look into. He was 45 minutes late. I did receive messages confirming his status and ETA but these were piecemeal and kept getting pushed back. First it was 30 mins late, before settling on a later time. During this text exchange I told him the exact address plus the best place to park (down a dead end road to make loading easier). While he acknowledged these texts he completely ignored the advice parking wherever his sat nav told him to go. This meant me running around the estate looking for him, hopping in his van and directing him to the exact place I had already asked him to go. Loading the van went smoothly so nothing to complain about there. The drive to the new property went OK with my direction except the van is a massive hazard to the people in it, and to other road users. The brakes did not work! During the drive the guy had to constantly pump the brakes to make sure there was pressure to get any sort of stopping power. When there wasn't enough pressure, he would often have to reach for the handbrake to come to a stop for traffic lights and stopped cars. This van is a danger and needs to be repaired! For the unloading, everything started off fine. I directed him to the best place to park (a loading bay), close to the front door. We unloaded everything into the hallway before we started taking things upstairs. In our request we had asked for help up to the third floor. I'm not sure if he ever even managed it up to the third floor instead carrying things up the first set of stairs or two. While this was kind of helpful it often meant I would be doing a lot more than I had thought, often doing all three floors myself as I was so much faster than him. While he didn't do as much as I hoped, he probably also couldn't do much more due to being a smoker. Part way through the hauling stuff upstairs he complained about the parking restrictions outside and that he would have to go (bear in mind this was only 40 minutes into our 2 hour slot). I said he could move the van and come back to help with the rest of the stuff but he refused and kept on shuffling (and dropping) things up the stairs. This makes me think he just wanted to leave early, further confirmed by watching him walk to the shops after he had finished with our job, rather than move the van. I cannot recommend this man, and definitely not this van. It's unfortunate that the man and van we had chosen cancelled on us. I am very shocked to receive this review. As the original driver could not undertake the booking, I accepted the job and was therefore delayed, for which I apologised to the customer and kept him fully up-to-date with my expected arrival time. The customer was very specific about how the booking was conducted, which was fine with me and I did as I was asked. I carried everything up to the 3rd floor as asked. Parking was an issue, and I had to park a fair way from the property and carry everything to it without any assistance. I was concerned that where I had parked I may be at risk of getting a penalty notice, but the customer insisted I continue taking things up to the 3rd floor before I moved the van and I complied with this. When everything had been transported upstairs the customer thanked me and seemed very friendly. He certainly never made me aware of any concerns. In response to the claim that the brakes on my van are faulty, I totally deny this. My van has a current MOT certificate and is fully insured and I am a fully qualified driver. I am also not a smoker! I do not know why the customer would assume that I was. There were no breakages during this move and it was completed within the booked time. After I finished the job I of course wanted to have a drink of water as I had just carried all the customer's goods up three flights of stairs! I then rushed to move my van as I was aware that if I received a penalty charge notice because I parked where the customer insisted I park, he would not want to pay the fine. I am very surprised that as the customer was this unhappy, he never said anything to me in person on the day. Excellent and friendly service. The move was fast and simple, and precisely on schedule, and the movers themselves were lovely. Fast reliable and accommodating I would recommend my driver to everybody. This move was by far the easiest I have ever done as a result. I cannot speak highly enough of the team. He's really slow. I booked 2 hours and I'm pretty sure were enough to cover the move as my new property was really close to the old one so had to pay him an extra half an hour. Then he wanted to charge me the congestion charge which doesn't apply from 6 pm weekdays and I meet him after that at 7. The arrival of a van was 1 hour 45 mins late, due to accidental circumstances. This means that your staff were probably quite stressed to sort out my situation. I had booked a job which included one flight of stairs at the start, and two flight of stairs at the end. Because I had so much stuff, I had to extend the job to three hours. The driver gave me a rate, and said it was that rate because of the flights. I told him (and showed him in your email confirmation) that I'd booked and paid for the stairs included. He muttered, "Why did my boss call me?" It was probably bad communication at some point. We can see that this booking was for 'driver help' and we note that the driver did assist fully with your move. There was no payment made for an additional helper. Such a pleasant driver. Thank you. Will not hesitate to highly recommend. The drivers were late for 40 minutes. They said it was due to traffic where some roads were closed and the new post code of my previous flat. While the first reason was acceptable, the second could have been avoided by checking the address prior to the actual move day. I did give the full address not just the post code. Apart from that, a congestion charge (GBP12) was applied and I was not informed in advance. I was told that congestion charges were standard. I would appreciate all charges be included in the price when I make the appointment. Or at least there is some indication that additional charges will be applied other than overtime charges, especially those are considered as 'standard' . We are sorry that the driver was delayed to your booking, and this is obviously something that drivers do try to avoid. In terms of the Congestion Charge, we are unable to include this in the quote you receive as it is a Government tax. We do give very clear warnings of this on the website prior to booking, it is also clearly shown on the email confirmation you receive when you book, and if you are in any doubt, you are of course welcome to ask us at any time..
as he said he was unable to wait for me. Everything went great! There was quite a lot of traffic on the day so there was a small delay at the beginning. Once the van arrived the drivers were very nice, helpful and careful with the items. Overall great! We booked one man for 3 hours with an agreed rate for overtime. The van showed up with 3 men. Less than an hour into the move it became clear we would need to make two trips to the new address - less than two miles away. This was met with solid resistance and a request for more money. Either we were being coerced in to spending more or the terms of the booking were not made clear enough by comparethemanandvan.co.uk. I tried calling customer services but only got an automated response - not good enough, I will not be using this service again. I do not have confidence in this service. CMV Response: We are sorry that you were left dissatisfied with the service you received on the day. The drivers will always make additional trips for you within booked time but they will charge their 'via address' charge for this and a small mileage charge (generally around £1 per mile) for any additional mileage. Obviously the quote you receive can only include the information you enter on the website, i.e. from collection post code to delivery post code. In addition, full facts on additional trips are provided in the 'Five Things You Need to Know About Your Move' which we send you on booking. Our telephone phone lines are open 08.00am to 8.00pm 7 days per week and the only time you would receive an automated message is outside of those hours. Even then, there is an emergency number provided. Excellent service, so helpful Juliews! Five start service. He was so good and humble. Helped me move all the items and was understood all requirement. Perfect choice if you are moving home. Great service!! Very helpful and super friendly! Thanks again! Friendly, helpful and professional! Would highly recommend this man and his van. Thank you! Everything was streamlined and went well. The driver was very helpful in all ways. He sent us a text about 45 minutes before his arrival, so we knew he was on his way and his expected arrival time (and he was on time). He helped with both the loading and unloading of the van, including helping with some large plants. In addition, he also had helpful tips on how to pack the storage unit where many of the boxes went (as well as helping with the actual work itself). On top of this, he was a very friendly and nice man. I would certainly recommend him to other people. Firstly, this customer gave me his wrong email address and phone number. I therefore spent considerable time trying to contact him via phone and email. Secondly, although I went there an hour early, I did ask the customer if he was happy to go ahead or I could wait an hour. The reason I was early was that I was conscious that I wanted to be on time rather than late, however, the customer agreed that he was ready to start loading up when I arrived. The booking was for 'driver help' so I asked the customer if he would like to bring the goods from indoors, and I load the van as he brought things out, or if he would like me to go and bring the goods out while he loaded the van. I helped them with virtually everything although as they had too much for the van to take in one trip, we did 2 trips in 2 hours and this wasn't an issue for me. So it's completely untrue what they have said and I politely disagree with their review of my service. The van did not have blankets or floor coverings and as a result my sofa has now got a black grease mark on it. Other than that the driver was very accommodating and very helpful. Cheema is very friendly, we chatted the entire journey. The first thing he asked me was how I was feeling as moving can be a very stressful time. I thought that was nice of him to care. Excellent customer service. The driver was a few minutes late but he rang in advance and gave lots of notice. He was very polite throughout and extremely helpful. I would definitely use him again. Due to a cancellation of the previous driver without any further information until last 30 minutes :( , this driver has been sent by the company to deliver my stuff. He was so helpful and respectful. We chatted very friendly during our journey. Thanks Muhammed for great delivery and good luck with your life in London. Replacement driver was on time. Impressed with speed of response to replace first driver booked.